It’s hard to believe that March is only a hop, skip & a jump away and with March, we get, hopefully a little luck! St. Patrick’s Day is a great time to show off those fashionable greens and with this fun & easy Shamrock crochet pattern, you will have no trouble with that! This pattern is so easy, it will make you pinch free in only a matter of minutes! The pattern includes instructions on both the heart shaped leaves and the rounded leaves, along with both the 3 leaf clover and the 4 leaf clover! Give it a try and feel free to come show off your final on our YarnWars Facebook group page! 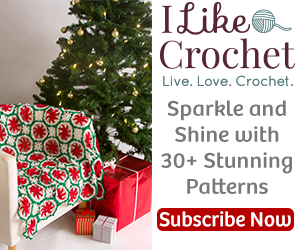 We would love to see you and have you join the amazingly talented group of crocheters and knitters, with lots of fun free patterns to pick up as well!